That’s right. Customers’ expectations are higher than ever. Mobile devices and easy, real-time access to information are changing how marketers like you work to create campaigns. Optimize your cross-channel campaigns and reach your goal of transforming visitors into repeat customers and advocates. Discover how you can interact with your customers in relevant, personal dialogues across mobile, social, digital, and traditional channels. 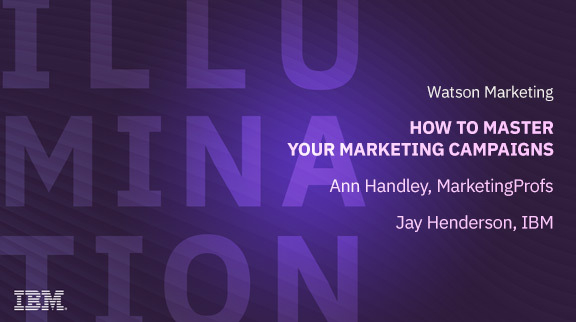 Join us for a webinar hosted by Ann Handley, Chief Content Officer at MarketingProfs, marketing keynote speaker, and The Wall Street Journal best-selling author on how to create content and campaigns to please customers and ignite your business.